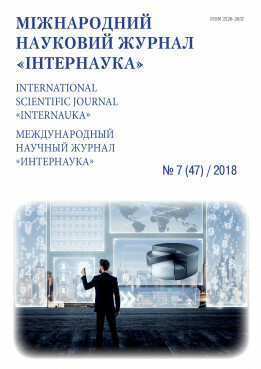 Multidisciplinary International scientific journal "Internauka"
International scientific journal "Internauka." Series: "Economic Sciences"
International scientific journal "Internauka". Series: "Juridical Sciences"
Electronic scientific publication "Public Administration and National Security"
Stepaniuk А. R.Orlenko A. Yu. Орленко А. Ю., Степанюк А. Р. Процес конденсації вологи у модернізованому циклоні за допомогою відведення теплоти // Міжнародний науковий журнал "Інтернаука". — 2018. — №7. When copying materials reference to the site is required. It`s protected by copyright. Plagiarism is prosecuted by law.